Oasis have announced that the rescheduled date for their previously-postponed show at the Cornwall Eden Project will now be July 14. The show had been set to take place on September 27 last year, but was postponed after a fan ran onstage at the V festival in Toronto and pushed Noel into the monitor stack causing enough injuries to prompt x-rays at a local hospital. Hopefully there will be no such repetition in the idyllic Cornwall biomes and fans will enjoy this really unique location with this generation's premier act. Tickets for the original date remain valid for the new date so keep them safe. Fans who want refunds are being asked to call 0844 5670677. Tue 2nd Jul 2019 Kylie Minogue, Eden SessionsThe Eden Project (Cornwall)More Info.. 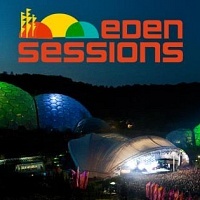 Wed 3rd Jul 2019 Kylie Minogue, Eden SessionsThe Eden Project (Cornwall)More Info..